We suggest using Seal Grass in the surroundings of marine mammals to provide textural variety in the environment and to add visual interest for the viewing public. 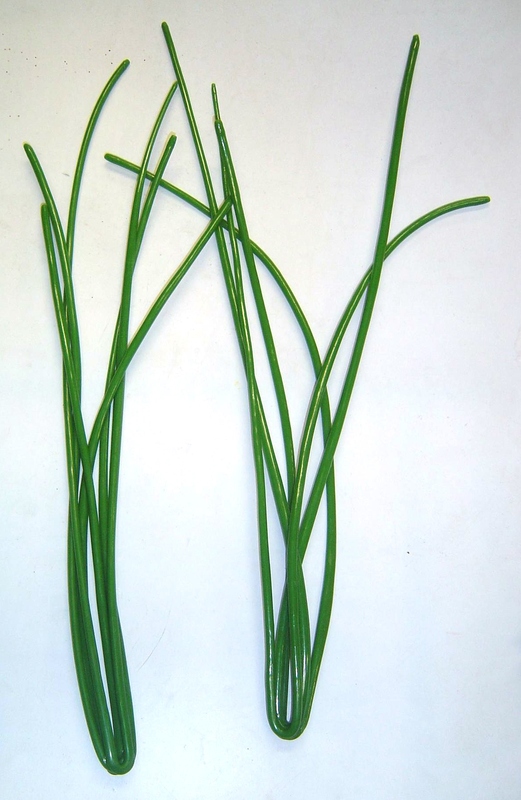 Our standard cluster has six green, 30 cm long, flexible, rod-like stalks. The stalks are 5 mm in diameter at the base and taper slightly to a rounded end. This plant has a natural look though it is not intended as a specific type of plant. The plastic is tough, rubbery and buoyant. This product should be installed only by those qualified to decide about the safety factors in each environmental situation. We are not accepting liability associated with animal safety.